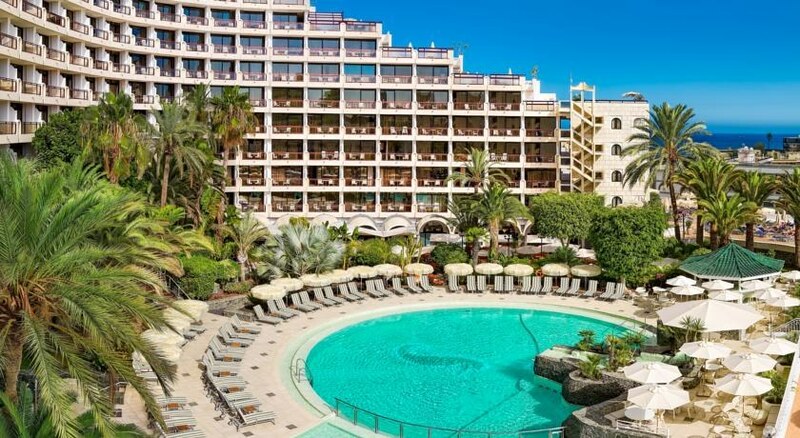 Seaside Sandy Beach Hotel located in the popular resort of Playa del Ingles is just 200 metres from the beautiful sandy beach. This hotel offers a friendly environment where you can happily enjoy comfortable accommodation with modern amenities during your stay. 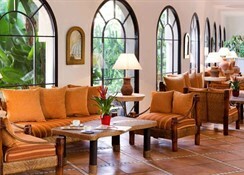 All rooms are comfortable and spacious with modern furnishing and amenities. The island of Gran Canaria is great for beach lovers and those looking to soak up the glorious sunshine. 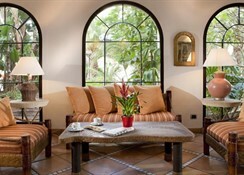 Getting to the hotel: Seaside Sandy Beach Hotel is 35 km from Las Palmas Airport. Local tips: The mile long sandy beach that Gran Canaria is renowned for is just a 5 minute walk from the hotel. 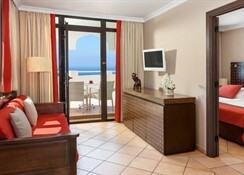 There is a wide choice of shops, bars, restaurants and an enjoyable nightlife all within walking distance of the hotel. Food, drink and entertainment: The main restaurant offers a wide selection of fine cuisine and they have a famous seaside buffet. Start your day with a rich breakfast on the terrace, for lunch you can eat at the snack bar which offers a varied choice of a'la carte specialties. For your evening meal you can enjoy the large and varied hot and cold dish buffet with a barbeque on the patio. Sports, games and activities: Swimming pool (outdoor heated), darts,games room, table tennis, billiards,, giant chess, tennis court*, cycling*, hiking*, windsurfing*, diving*, Wellness/Spa varied treatments* & massage*, Turkish/steam bath and a sauna, indoor & outdoor gym. 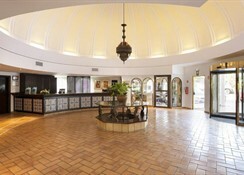 Additional: 24 hour reception, free Wi-Fi internet access (hotel lobby), car rental, laundry service (self service free of charge), dry cleaning service, currency exchange, bicycle rental, babysitting service (local charges) on request, meeting/banquet services, tour desk, parking, newspapers (local charges), family rooms and facilities for disabled guests. Room description: All rooms are equipped with balcony or patio, satellite TV, mini bar (local charges), air conditioning, direct dial telephone, radio, safe (extra charge), bathroom with shower or bath, bathrobes and a hairdryer. 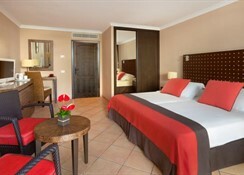 All rooms offer enough room for an extra bed or cot., family rooms for 4 persons (separate bedroom) with kitchen area.